ABERDEEN may fall short in their quest for a first league title since 1985 but the improvement Derek McInnes has made to the club in just over two years will surely be reflected in their highest finish for more than two decades. Willie Miller was in charge when the Dons last ended a season as runners-up in the division but the current manager is on course to match that achievement after this win against their closest rivals. Ash Taylor’s fourth goal of the season was enough to give them victory but in truth the Dons would have been worthy of a more comfortable victory as they created the better chances throughout. It makes it 19 games without defeat against teams lower than them in the league and took them 11 points clear of last night’s opponents with just seven games to go. This result surely ends any chance of Caley Thistle securing second spot for the first time and John Hughes has to find some way to reinvigorate the side before another campaign runs out of steam. This defeat leaves them with just one win from their last six league matches approaching another tough set of fixtures that include two league meetings with Celtic and Dundee United. 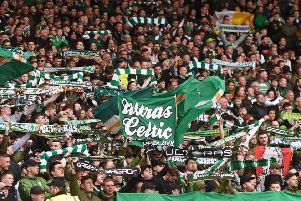 They also face Ronny Deila’s side in the Scottish Cup semi-final on Sunday week and on current form making it to a first ever final in that competition will require a performance on a par with the time a much less experienced Caley Thistle team went ballistic at Parkhead. It does seem churlish to be too critical though, given the limitation of resources which puts huge demands on the playing squad they do manage to hold on to. For example Aberdeen’s most impressive performers this season have been Adam Rooney and Jonny Hayes while Barry Robson’s return from the start here shows the depth of quality available to McInnes. All three are former Caley Thistle players and the current Inverness captain, and their best player of recent seasons, Graeme Shinnie is already contracted to move to Pittodrie this summer. He nearly gifted his next employers an early goal last night after being caught in possession by Hayes who sped forward before driving a shot from distance just over the crossbar. Then in 27 minutes Gary Warren and Ryan Esson hesitated, Rooney nipped between them and was only denied by Josh Meekings’ goal-line clearance. Robson threatened to turn back the years with a run from deep but the parting shot from the former Scotland international spun well wide off the outside of his right foot. At the other end Inverness passed the ball well but they lacked the pace or penetration to trouble the Aberdeen defence with goalkeeper Scott Brown a virtual spectator on his return. It was Robson’s brilliance from set-piece situations that finally broke the deadlock just a couple of minutes after the restart with a wicked inswinging corner from the right. Taylor powered his header home from inside the six-yard box and only a couple of great saves by Esson late in the game and the post when Shay Logan’s shot did beat the ’keeper kept the score down. Aberdeen: Brown, Logan, Taylor, Reynolds, Considine, McGinn, Flood, Robson, Pawlett (McLean 69), Hayes, Rooney. Subs not used: Langfield, Daniels, Low, Smith, Goodwillie, Shankland. Inverness: Esson, Raven (Devine 77), Warren, Meekings, Shinnie, Doran, Draper, Tansey (Christie 65), Ross (Ofere 65), Williams, Watkins. Subs Not used: Brill, Polworth, Horner, Kink.